ALL weekend spent on the beach means you need provisions ... and sometimes shelter. 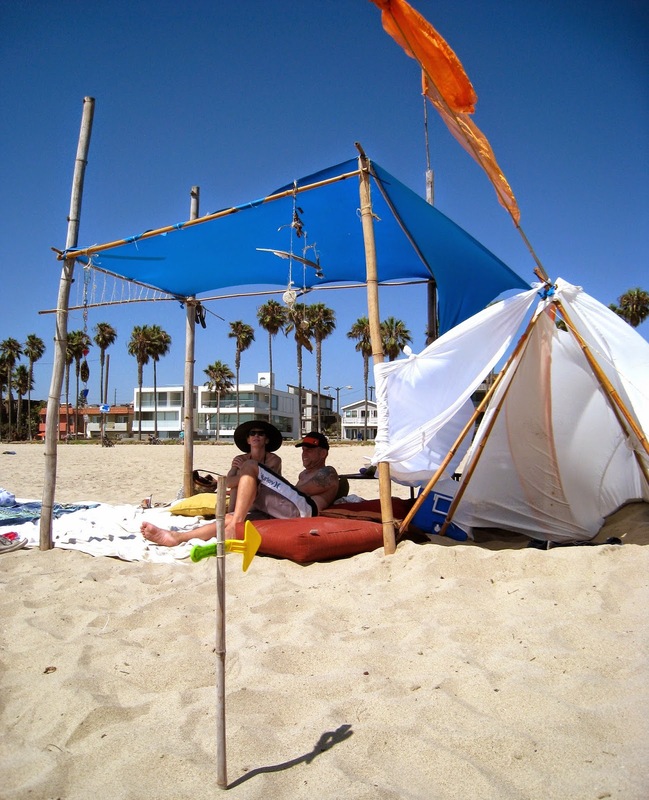 My beach friends created this awesome set-up to wile away the hours ... they even added decor, like sea shell mobiles a sand castle shovel arrow. It was one of the most beautiful weekends ever, and a long one at that, so the beach was home the whole time. The water is so warm right now, it was the perfect stay-cation. As hard as it is to be back inside right now ... the absolute glory and appreciation of this Venice beach weekend will carry me through, I know it. If you by chance got today off too ... you should only be swimming. This only lasts so long. Enjoy!